Rosberg is a former racing driver who won the 2016 Formula 1 championship with Mercedes and the inaugural GP2 season in 2005. The German drove for Williams and Mercedes in his career, winning 23 races and achieving 57 podiums in 206 Grands Prix. He is the son of Keke Rosberg, the 1982 F1 champion. 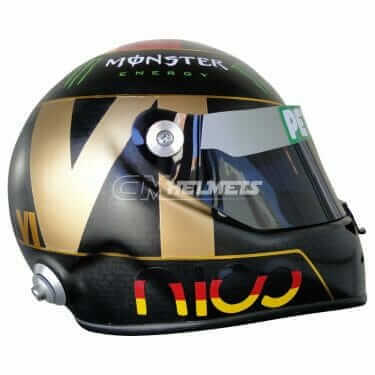 The largest catalog of Nico Rosberg replica helmets is for sale at the best prices.